We offer several services including chiropractic care, massage therapy, physiotherapy techniques and more! Call us today to schedule an appointment at 954-782-7006 or Request an appointment online below. We are located in Pompano Beach and serve the areas of Lauderdale-by-the-Sea, Oakland Park, Wilton Manors, Fort Lauderdale, Lighthouse Point, Hillboro Beach, and Deerfield Beach. 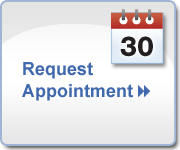 See our Pine Chiropractic Center Office Hours!